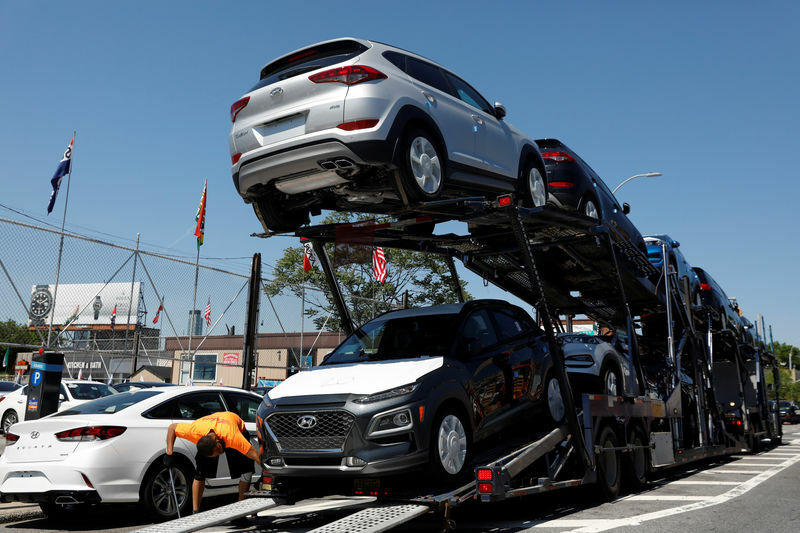 WASHINGTON (Reuters) – Some of President Donald Trump’s fellow Republicans in the U.S. Congress said on Thursday that his administration’s national security investigation of car and truck imports amid a trade spat with China is being pursued under false pretenses and could hurt U.S. consumers. Shortly after, the Commerce Department launched a probe of auto imports under Section 232 of the Trade Expansion Act of 1962 that could lead to new U.S. tariffs similar to those imposed on imported steel and aluminum in March. Higher tariffs could be particularly painful for Asian automakers, including Toyota Motor Corp (T:7203), Nissan Motor Co (T:7201), Honda Motor Co (T:7267) and Hyundai Motor Co (KS:005380), which count the United States as a key market. Congressional Republicans said it was unclear what Trump was aiming to accomplish with the probe, warning it could result in U.S. job losses, and with some suggesting it was a political tactic ahead of midterm elections in November. Senate Foreign Relations Committee Chairman Bob Corker said there was “no reason” to conduct a national security investigation of auto imports. “This appears to be either an attempt to affect domestic politics ahead of the election or for some other transactional purpose regarding ongoing trade discussions. This is a dangerous course and should be abandoned immediately,” Corker said in a statement. Corker is a Republican from Tennessee, where Volkswagen (DE:VOWG_p), Nissan and other auto-related manufacturers have assembly and production plants. In the House of Representatives, Kentucky Republican Andy Barr, who has a Toyota factory in his district, said he wants to know what Trump seeks to accomplish. Republican Representative Roger Williams, who owns a Chrysler-Dodge-Jeep auto dealership in Weatherford, Texas, said any tariff on auto imports would negate the positive impact of the new Republican tax law on consumers, and increase costs for U.S. car manufacturers that buy foreign parts. “They’re world vehicles. Parts are made everywhere and they’re put together somewhere,” Williams told Reuters. It was not yet clear whether lawmakers might try to act if the administration eventually imposes new tariffs on foreign auto imports.